You are going to love this! I cannot stand how adorable this little guy is! 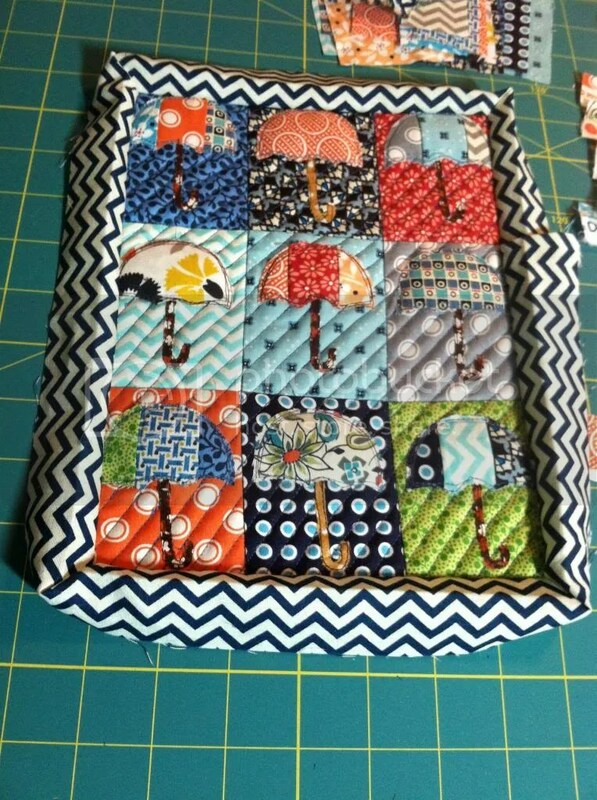 So a few weeks ago, Camille Roskelley of Thimble Blossoms decided to start making her quilt patterns as minis, if I remember right she started this as a way to display her patterns in the limited space of Quilt Market in Houston. 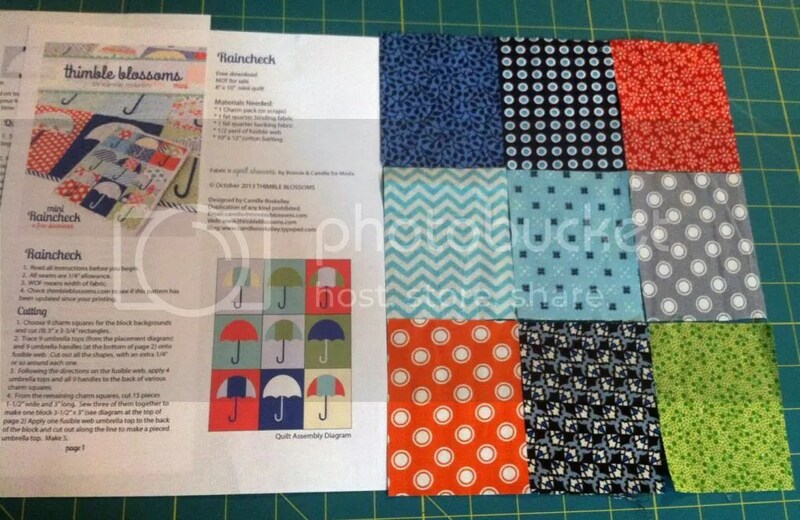 As a “sample” of sorts Camille provided a free pdf pattern for her mini Raincheck quilt. Which I snatched up immediately! This little guy actually only took a handful of hours to construct, but it did take me a little time to get all of my materials together. 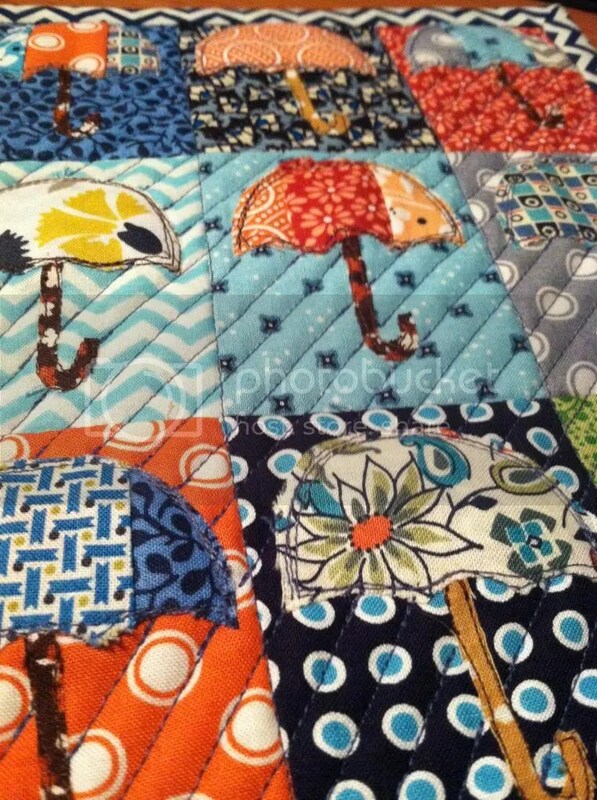 I wanted to use a lot of different fabrics from my stash (many of which are DS Quilts by Denyse Schmidt). Also, as it turns out, I needed to grab some fusible web as I don’t do a lot of applique. Though after this little guy, I just might start. 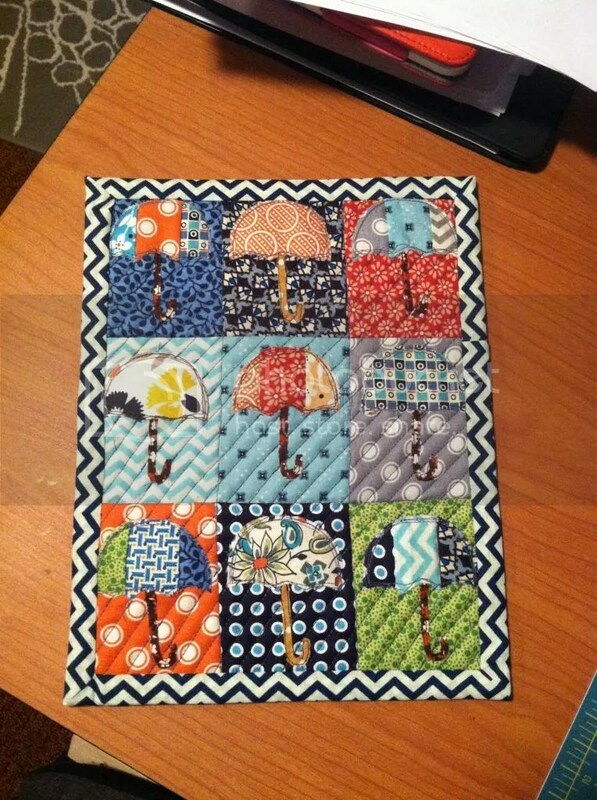 So when it came time to quilt it, I wanted to create the appearance of a “slanted rain” so I stitched diagonals (about 30 degrees) each about 3/8″ apart. I lifted the needle each time I came to the umbrellas so that they would retain a puffy look. 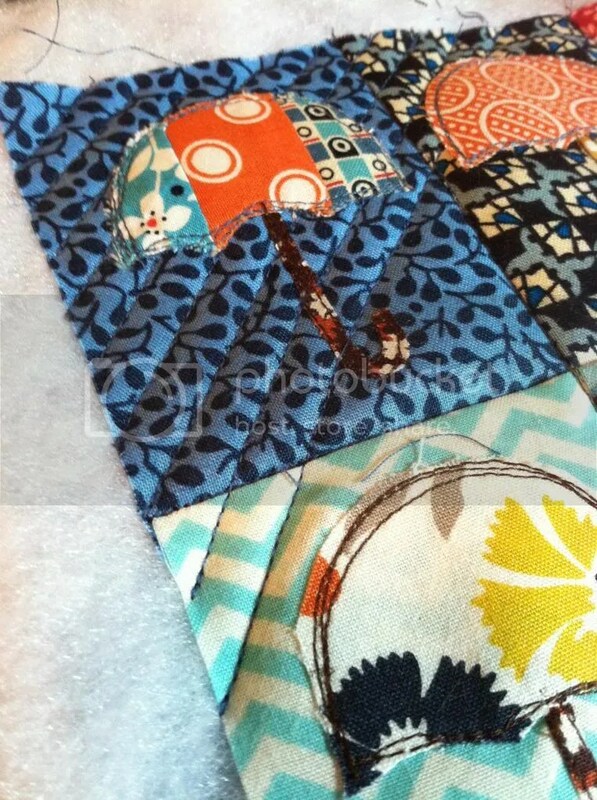 All of the different fabrics I pulled together into this mini quilt. 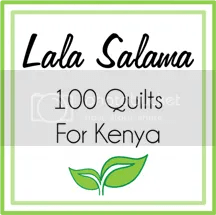 Can you imagine that many fabrics in a 8 1/2 x 12″ quilt? 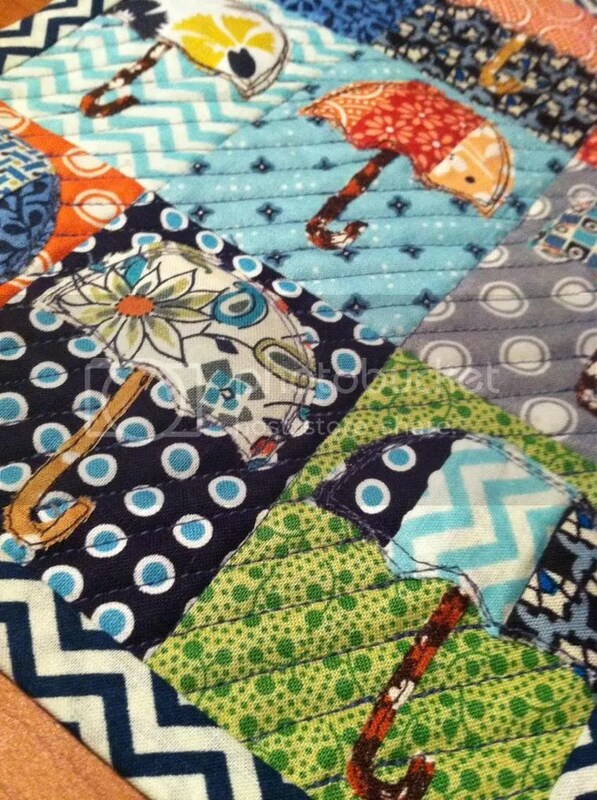 For me, the best part about whipping up a mini quilt is the accomplishment you feel. It takes only a few hours and you’ve completed something adorable, from start to finish! 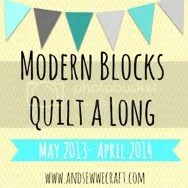 And you get to practice all of the skills you use for a full sized quilt! 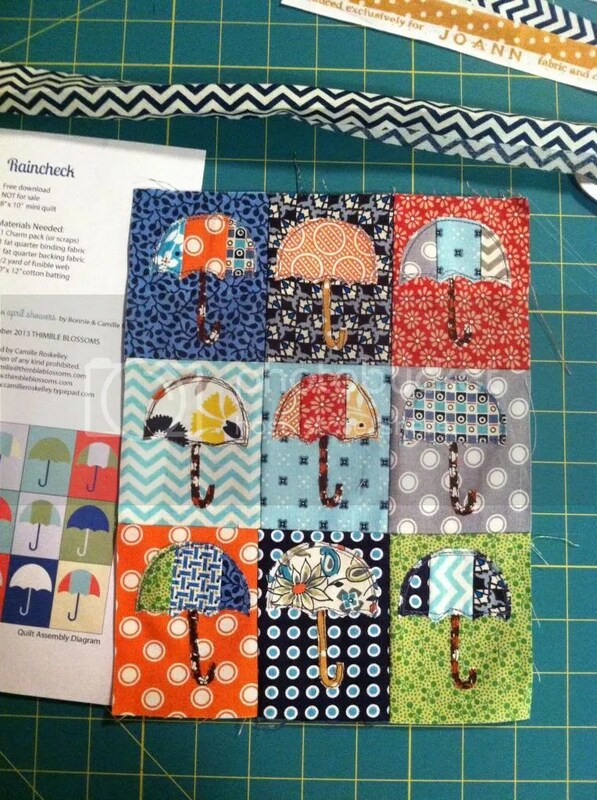 Camille has kept up her game, and put out even more of her quilt patterns as minis. And I am dying to give a few more a try. Speaking of which, she just posted the mini Swoon and mini Spool in her shop this weekend, promising a prize to the first to finish the Swoon and share on instagram. I won’t be the first though, I need to hold off a few more weeks until the winter break to get too involved in my making. For now, I will have to keep glancing at my little Raincheck on my pinboard and pine for better days!